Sometimes you just want to eat some americanized chinese food but don’t want to get take-out. 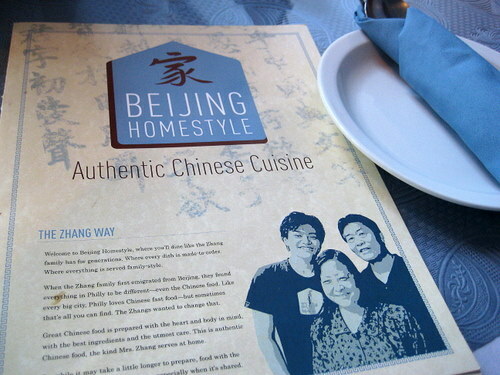 So we went to Beijing Homestyle in Manayunk, which is quite an attractive restaurant. It’s large too, and the dining room is swathed in blue. Blue isn’t typically the color that might jump out at you when you think chinese joint, red and yellow tend to jump in my brain. But here’s a place that has blue all over the place. There are also tons of colorful photographs along the walls. The decor appeals to me quite a bit. 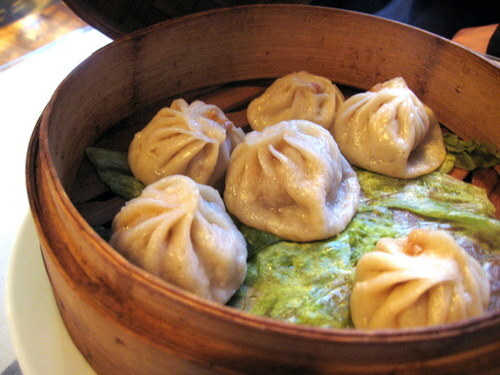 The Shanghai’s Famous Soup Dumplings. 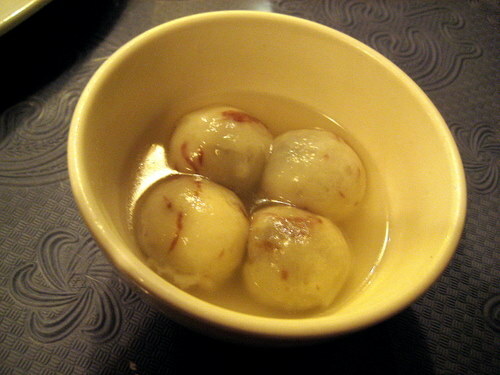 These are filled with ground pork, ginger, and spring onions and are served in bamboo cages after being steamed. These are good but there wasn’t very much soup in them. In fact, some had none. And the ones that did had very little soup. But these were still good dumplings. Here’s the orange chicken. 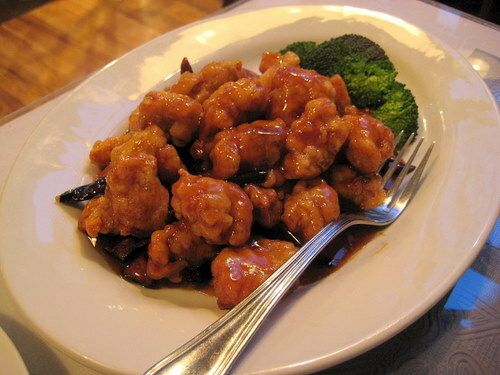 If you like orange chicken, you’ll like this! No complaints here! Upon the recommendation of our server, we also go the Iron Pan Short Ribs. 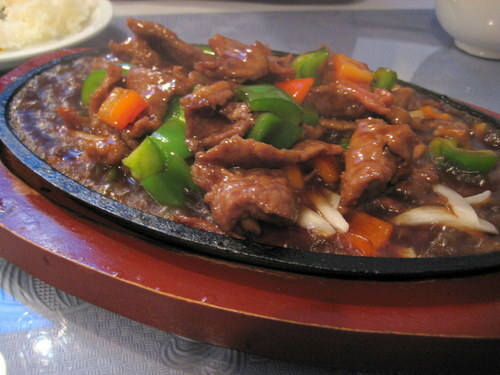 These are extremely savory yet sweet short ribs that come out on a sizzling hot plate. This was also quite good. Both these entrees would appeal to anyone who loves americanized chinese food. This dessert sounded interesting, so we tried these moon drop things. It was basically a mochi type sphere filled with stuff, in this case, a sweet sesame paste. It came in a brothy type liquid, which didn’t really taste like much. It was just warm. The mochi was warm and chewy, and the sweet and nutty sesame paste inside was a nice contrast with the slightly salty broth. I’ve never tasted anything like this before and quite enjoyed it. Service was good. It was a nice dine-in chinese food experience.